BMW Nightmare Qualification: The Acura Integra Rear Lights & the "whatever body kits". Verdict: Someboby hit me with a hammer. Quick! Verdict: Strike of the Blue Lightning. Verdict: May God bless your very much!. 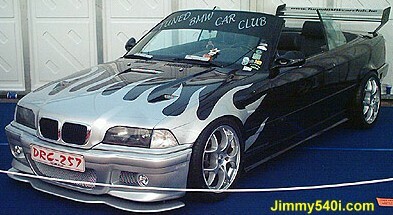 BMW Nightmare Qualification: Once again, the wing & the paint on the hood. Verdict: Don't you people never learn? 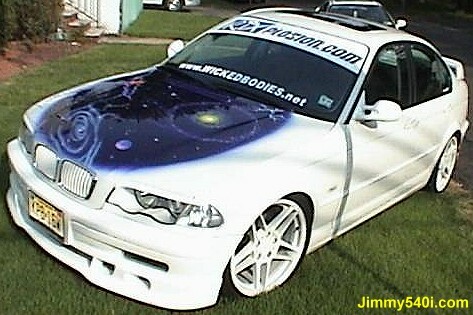 BMW Nightmare Qualification: Then again, the wing & the paint on the hood. Verdict: Clear to take off! 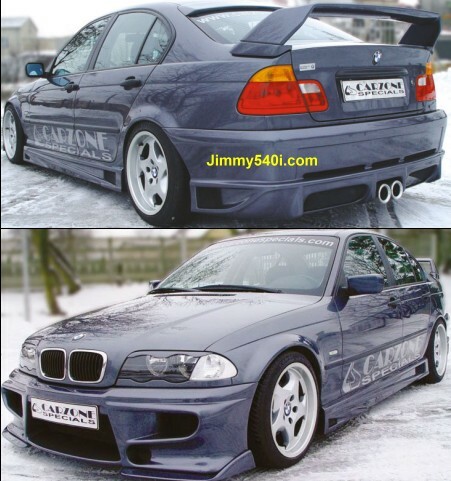 BMW Nightmare Qualification: Rear wing & Lower Spolier. Verdict: You could be a Power Ranger someday. 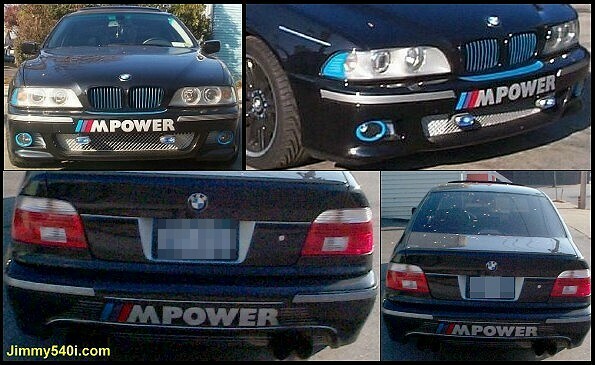 BMW Nightmare Qualification: very obvious. Verdict: Ever seen a giant cockroach?. 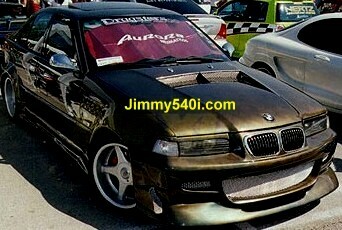 BMW Nightmare Qualification: Wow! Hamann has done it again! Verdict: Only if the wings can flop. 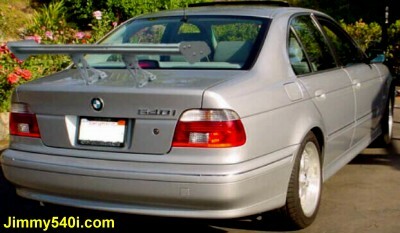 BMW Nightmare Qualification: The Rear Wing. Verdict: Not as fancy as the previous target, but creative! Verdict: And you can touch the sky! Verdict: First BMW with cosmic power! Verdict: How can I be any $hittier? Verdict: Gently apply some Preparation H may ease your wound. Verdict: Here is why never spend a night at the county jail. Verdict: This BMW driver obviously hates Chris Bangle (ex. BMW chief designer). Verdict: Where is the "H" badge? Verdict: Yep, too much drug will make you do f@#*-up things.